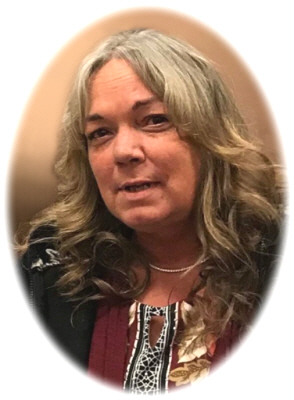 Jacquelyn Dee “Jacci” Moore age 51, of Ashley, MI, passed away unexpectedly on Friday, July 27, 2018 at her home. Visitation will be held at Smith Family Funeral Homes - Osgood Chapel, St. Johns, MI, on Friday, August 3, 2018, at 11:00 A.M., with a Funeral Service at 1:00 P.M. with Pastor George Ayub officiating. Jacci was born in Flint, MI on August 21, 1966 the daughter of Penelope Ann (Gabler) Donoho. On June 11, 2004 Jacci married Kent Moore at their home in Ashley, MI. She was a cashier at Beck's Gas Station. Jacci was the proud mother of RaeLene, Nicholas, and Courtney and grandmother of 8. She loved to work in her garden, especially with her flowers. She enjoyed quilting and making blankets. Jacci also enjoyed horseback riding. Jacci is survived by her husband Kent Moore of Ashley, daughter RaeLene (Eric) Barrett of Maple Rapids, son Nicholas Nader of Pinconning, daughter Courtney (Ben) Avey of Perrinton, and 8 grandchildren: Emma, Hunter, Kloey, Arya, Kaya, Cheyenne, Dakota, and William. Jacci was preceded in death by her mother. Online condolences can be sent to www.smithfamilyfuneralhomes.com. The family is being served by Smith Family Funeral Homes - Osgood Chapel, St. Johns, MI.